Recall the moment when you have a very important phone call to make and you run out of balance. Think of those times when you have something very important to convey to someone and you find your phone left with no balance. These are some of the most annoying situations, everyone might have faced. Sufficient balance in phone all the time thus is mandatory to have. Hence mobile recharge is one of those tasks that we do at regular intervals without fail. But finding a recharge shop everywhere and anytime is not feasible and possible. Thus online recharge facility that almost all the mobile networks and even the third party online recharge portals have made it easy. In the era of online mobile recharge and bill payments, no more you need to run to any third party recharge service to top-up your phone number or have to stand in long queues to pay postpaid bills. With the availability of numerous mobile recharge cashback offers, one can think of saving extra while talking over calls for long hours. Not just this, numerous e-wallet services tempt users with mobile recharge offers online. In case, you are looking for such lucrative offers, then it’s time to put a full stop on your exploration. GoPaisa is a platform where all current mobile bill payment and recharge offers are available to the users. Bharti Airtel Limited is one of the leading global telecommunication companies in India. Besides mobile commerce, the company offers 2G, 3G, and 4G wireless services, fixed line services, DTH, high-speed home broadband and more. Most people rely on Airtel network for calls and fast internet connection. Besides best service, Airtel provides its customers with numerous Airtel recharge offers. Also, users receive free access and unlimited downloads on Wynk music. If you spend most of your day talking to your friends on calls, recharge your Airtel prepaid number with Rs. 199 and get unlimited calling and 1.4GB/day for 28 days. Pay only Rs. 399 to get unlimited local + STD calls, charge-free incoming calls and outgoing calls while roaming, 1.4GB 3G/4G data per day for 70 days. One of the best Airtel recharge offers is Rs. 509 unlimited pack. With a validity of 90 days, you get unlimited local + STD calls, roaming incoming and outgoing call, 100 SMS/day, and 1.4GB 3G/4G data every day. If you are looking for Airtel bill payment offers, one of the best selling postpaid plans are monthly rental of Rs. 399. Along with unlimited Local/ STD and roaming calls, users get 40 GB 3G/4G data with rollover. All users who are interested in free of cost Amazon Prime Subscription of one year can opt for the Rs.1,199 monthly rental plan. This plan offers 120GB 3G/4G data with rollover and limitless local/STD and roaming calls. Also, users get exciting benefits like Airtel TV, Handset Protection, and a free Add-on connection with unlimited calls. If more than one family members use Airtel postpaid connections, they can save up to 20% on total spends. Just add a family member at a cost of Rs. 199 only. Though Amazon is popular for selling electronics, smart gadgets, and household goods at discounted prices, the e-commerce giant has started a new service with which users can do mobile recharges and pay bills. Now, there is no need to keep another application to make payments or recharges as your online shopping centre will do that for you. Additionally, users can make bill payments and mobile recharges with Amazon Pay, making things easier for you. If you are doing a mobile recharge for the first time on Amazon, you can grab a flat cashback of Rs. 100. The offer is applicable on all telecommunication operators and to avail the offer, minimum recharge of Rs. 398 is required. In case, your budget is small, then do a recharge of Rs. 148 to earn a flat cashback of Rs. 50. The offer is eligible on the first recharge on Amazon. New and existing customers can grab a 30% cashback up to Rs. 50 on doing a mobile recharge with Amazon Pay. If you are looking for Amazon mobile recharge offers on Jio, then your search is over now. 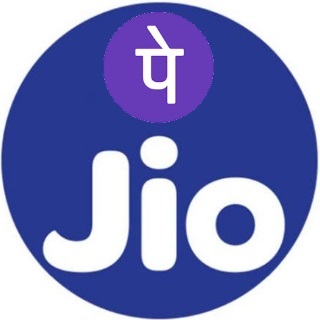 Jio users can avail a flat cashback of Rs. 99 when they make a minimum recharge of Rs. 399 on the Amazon platform. If you are on Aircel network, you can earn a flat cashback of Rs. 75. The offer is applicable only on unlimited plans. An offer of flat cashback of Rs. 75 is available for Airtel users when they make a prepaid recharge of Rs. 349 or above. When you initiate first mobile recharge with Amazon Pay, you get to earn an instant cashback of Rs. 50. On subsequent mobile recharges via Amazon Pay, you can get 20% back up to 20. This is a limited period offer. On your prepaid mobile recharges, Amazon is offering 100% cashback up to Rs. 100. To become eligible for the offer, a customer has to do at least one shopping transaction on the Amazon platform before October 9th, 2018. Pay your mobile postpaid bill on Amazon to earn 20% up to Rs. 500 cashback. To become eligible for the offer, a customer has to do at least one shopping transaction on the Amazon platform before October 9th, 2018. Get 20% Amazon Pay Balance on DTH Recharge like Dish Tv and Videocon. Avail 10% cashback on Recharge of the Act Fibernet. Rs 75 cashback on Electricity Bill Payment via Niki & Haptik App. Not a long time ago, Flipkart rolls out mobile recharge and bill payment service for its customers. Now, you don’t have to visit the customer care centre to pay your mobile bills anymore as you can pay your bills directly from your smartphone. If you haven’t used the service before, quickly open the Flipkart app and use lucrative Flipkart mobile recharge offers to do your first mobile recharge. Get an instant discount of 25% on your mobile recharge on the Flipkart platform. The offer is applicable on all telecommunication network. Use your Flipkart app and pay via PhonePe e-wallet to earn Rs. 150 off on your mobile recharge and bill payment. The offer is applicable only when the recharge amount is above Rs. 300. Other Flipkart Mobile Recharge offers include Airtel special plan of Rs. 2499 with which users get/4G 3G data and Vodafone special prepaid plan of Rs. 152. Freecharge is among the top payments apps in India. It a wholly owned subsidiary of Axis Bank Ltd. Beside mobile recharge and bill payment, users can use Freecharge to pay for DTH, metro card, and other services. 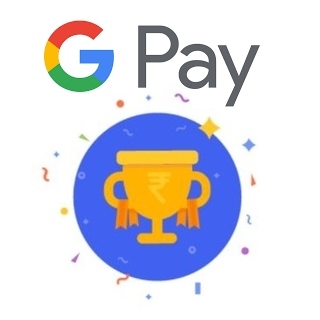 In September 2015, the company introduced a wallet service that allows its users to pay instantly on major online portals and offline stores like McDonald's, Hypercity, HomeStop, Shoppers Stop, and more. Forced to make awkward eye contact because you ran out of data? Recharge your JIO sim for super-fast internet and get a 20% cashback to scroll through memes on your phone at all times! Get a flat cashback of Rs. 15 on mobile postpaid bill payments and recharges. To avail the offer, use the Freecharge coupon code “FC15”. Pay your postpaid mobile bill or recharge to enjoy 10% cashback up to Rs. 10 on every transaction. The offer is valid only on three transactions. Use to the Freecharge promo code “GET30” to recharge mobile/pay postpaid bills to earn up to Rs. 30 cashback. New users can win 100% cashback on their first transaction on the Freecharge platform. Use the Freecharge coupon code “NEW75” to win up to Rs. 75. Pay with UPI on the Freecharge platform to earn up to Rs. 50 cashback on postpaid mobile bills. With Freecharge Recharge offer, users will get 5% cashback on the minimum transaction of Rs. 200. To avail this offer use the Freecharge coupon code “UPI50” which is valid once per user. Get up to Rs. 50 cash back on your BSNL transactions using Freecharge. Use the Freecharge coupon code “NEW50” to earn a 100% cashback on your first bill payment. The offer is valid on all telecommunication networks. Though Idea cellular network is merging with Vodafone networks, it is still among the leading telecom service providers in India. The company has been delivering delightful experiences to the user for many years. Also, the Idea cellular network has been pushing the boundaries to create “Digital India” by giving millions of Indian citizen an opportunity to connect and build a better tomorrow. Additionally, Idea presents users with lucrative Idea bill payment and Idea recharge offers. Purchase an ISD pack worth Rs. 30 to make international phone calls starting at only Rs.50 per minute. To activate the monthly plan, visit the Idea Cellular website. If you want to save on your monthly charges, buy Idea Postpaid Nirvana Plans. To avail the plan, users have to apply for CITI credit card to get 50% savings on their monthly rental. If you are looking for Idea recharge offers, you should definitely go for Idea unlimited packs. Pay Rs. 398 to get a 1.4GB date every day along with 100 SMS/Day and unlimited local, national and roaming incoming & outgoing calls. The validity of this prepaid plan is 70 days. Buy an unlimited pack of Rs. 179 which is valid for 28 days. With this offer, users will get unlimited calls (local, national, and roaming), 1GB Internet data, and 100 SMS per day. Purchase an Idea unlimited plan of Rs. 999 to get unlimited calls, 100 SMS/Day, and 1.4GB per day for 28 days. If you spend most of your time on calls, purchase Idea Prepaid Combo pack worth Rs. 75. The offer is valid for 21 days and you get 300 local and national minutes, 1GB 3G internet data, and 100 local and national SMS. One of the best Idea recharge offers is Idea Mobile Internet plan of Rs. 143 with which users get 1Gb to 5GB 2G/3G internet data. Also, users will get a talk time of Rs. 30. The validity of this pack is of 28 days. Mobikwik is one of the largest mobile payments networks in India that connect users with retailers. Using your Mobikwik e-wallet, you can shop on the popular online stores without exposing your card details. Plus, when you load money to your Mobikwik wallet, you do not have to go through the hassle of entering password and OTP in every transaction. Along with swift transactions, Mobikwik provides you with amazing Mobikwik mobile recharge offers. Get a flat cashback of Rs. 50 as SuperCash on prepaid recharge done using the Mobikwik website or app. To avail the offer, users have to do a minimum mobile recharge of Rs. 50. Use the Mobikwik coupon code “50FIFTY” to avail this Mobikwik recharge offer. Pay your mobile postpaid bill via Mobikwik app or website to get 25% SuperCash. To avail the offer, a minimum transaction of Rs. 10 is required. Using this offer, users can avail a maximum SuperCash of Rs. 300. Don’t forget to use the Mobikwik promo code “SUPERDEAL”. Get a flat cashback of Rs. 398 as SuperCash on Idea mobile recharge. The offer is applicable on the purchase of Idea Rs. 398 plan and higher. Only Idea prepaid operator can take advantage of this Mobikwik mobile recharge offer. Use the Mobikwik coupon code “IDEA398” and pay via Mobikwik app or website. Use the Mobikwik promo code “IDEA100” to earn a flat SuperCash of Rs. 100. To avail the offer, recharge your Idean prepaid number with Idea Rs. 149 and higher. Mobikwik is presenting its customers with 50% SuperCash on bill payments and recharges done on the Mobikwik website or app. To avail the offer, a minimum transaction of Rs. 10 is required. Use the Mobikwik coupon code “FESTIVE” to earn a maximum SuperCash of Rs. 200. PayTM is one of the leading Payment gateways that connects customers with merchants. Using PayTM service, users can directly pay from their wallet at numerous online websites and retailers. It has completely eliminated the hassle of making online card payments for the users. If you are searching mobile recharge offers on PayTM, then it’s time to put a break on your research. Here are the available PayTM recharge offers. Use the PayTM promo code “LUCKY70” to recharge your prepaid number or make postpaid bill payment on PayTM to become eligible to win 100% cashback. The maximum cashback that you can earn using this PayTM recharge offer is Rs. 250. PayTM is giving you a chance to win Rs. 1 Lakh cashback on using the promo code “LAKHPATI”. A minimum transaction of Rs. 50 is required to enter the contest. To avail the offer, pay your postpaid mobile bill or recharge your prepaid number right away. Use the PayTM promo code “GRAB30” to win a flat 3% cashback up to Rs. 30 on mobile bill payments. The minimum transaction value should be Rs. 100 or above. Would you like to win free recharge for a year? PayTM is giving you a chance to enter a lucky draw using the PayTM promo code “BILLFREE”. To become eligible for this PayTM recharge offer, at least one bill payment of Rs. 100 or more is required. The lucky winner will earn a cashback of Rs. 200/month for the next 12 months. With the introduction of the PhonePe app, our lives have become easier than before. Now there is no need to carry cash or card everywhere as you can directly pay at retailers and online stores via the PhonePe app. Besides quick and easy payments, PhonePe offers a plenty of PhonePe mobile recharge offers. Pay with PhonePe and get 50% CASHBACK on your 1st Ever DTH Recharge. Ab Paison Ki Baat, PhonePe. Recharge any three different prepaid numbers or pay postpaid bills on PhonePe to earn Rs. 51 cashback. The minimum transaction amount to avail the offer is Rs. 30. No coupon code is required. Earn a flat cashback of Rs. 50 on your first postpaid mobile bill payment on the PhonePe platform. To avail the offer, the maximum transaction value should be Rs. 300 or above. BSNL prepaid users can avail a flat cashback of Rs. 75 on recharging their number with Rs. 250 or above. In case, the transaction amount is below Rs. 250, users can earn Rs. 50 cashback. Upto Rs 30 Cashback on Airtel DTH Recharge. Get Rs 100 Cashback on Electricity Bill Payment. It is now even more convenient and economic to recharge your phone via Gopaisa. It not only helps to select the most suitable plan according to your needs but also helps to save money while making recharge by giving assured cashbacks, discounts coupons. You can even refer and earn via Gopaisa. Read the reviews, see the plans listed according to your needs and choose the most worthy plan at the amount you want to make the recharge. So recharge your phone via Gopaisa and save money.